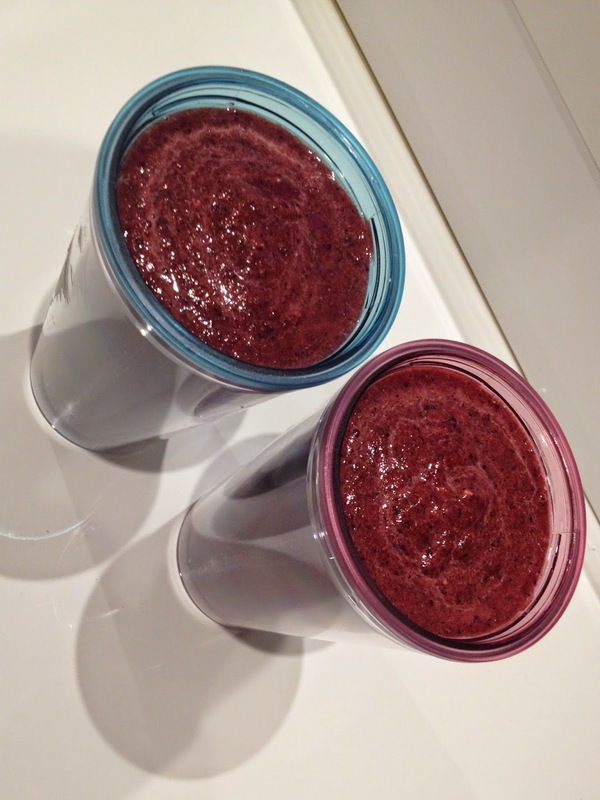 Today I want to share with you my "tropical delight" smoothie, which is like a dessert. It's so sweet and nutritious. I usually don't make all fruit smoothies, but I ran out of spinach and decided to try something new. 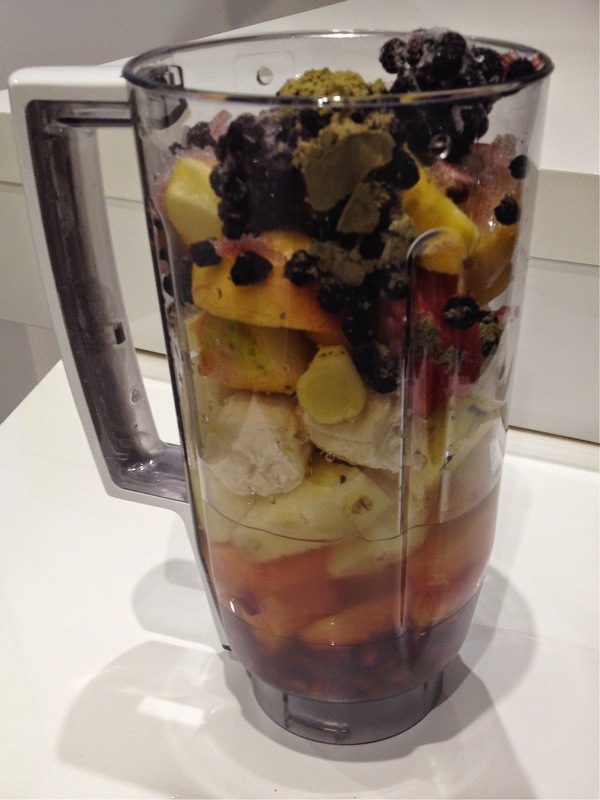 From the bottom to the top we have : pomegranate, papaya, pineapple, banana, apple, ginger, blueberries and two teaspoons of hemp seed powder. I used pure coconut water with mango. Hemp seeds are a rich source of protein, magnesium, Omega 3s and B Vitamins. Pineapple helps with digestion, while papaya supports the immune system and has anti-inflammatory effects. 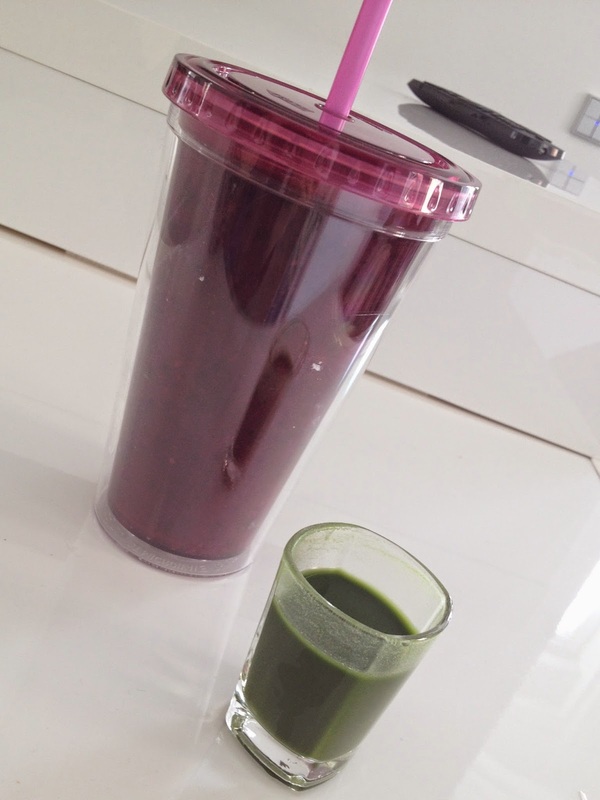 I had half a litter of smoothie and a shot of wheatgrass as breakfast. Wheatgrass is a detoxifier, which restores alkalinity to the blood, increases energy levels and improves blood sugar disorder. Overall it was a healthy detoxifying breakfast.